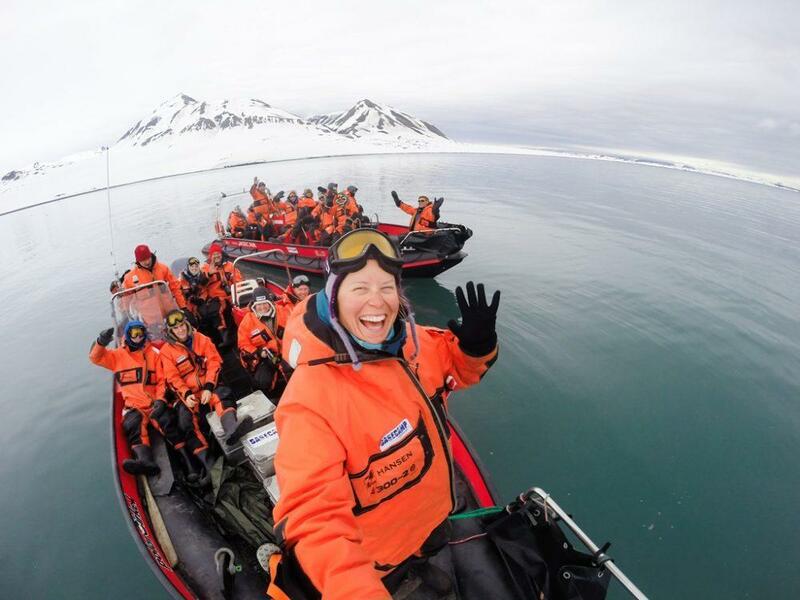 We offer a full spectrum of Arctic adventures in Svalbard, from hiking glaciers and ice-caves, skiing expeditions to remote areas, snowmobiling across a frozen tundra, sailing adventures aboard a 3-masted schooner, relaxation at luxurious outposts, cosy comfort at Nordenskiold Lodge, or gathering around the campfire in a tent camp. Dog sledding has been and still is the core of what we do in Svalbard. When ports and fjord become icebound, this was the way to travel and get supplies delivered. Discover Svalbard’s unique wilderness with a pack of powerful huskies. You will harness, feed and look after your own dogs, so don’t be surprised if you make new friends! In the winter and spring when the ground is frozen and still covered by snow there are no limits to where you can go, it all depends on what you want to get out of it. Shorter trips take place in the close vicinity of Longyearbyen. On multi-day expeditions you find yourself turn into an explorer, and tent camps or over nights in cabins provide welcoming rest. 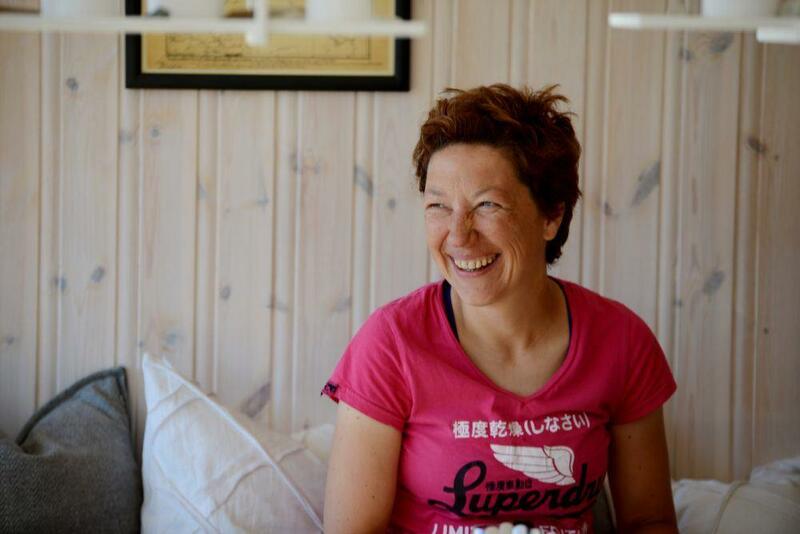 Some trips start and end in Longyearbyen, on other trips we drop you and the dogs off by boats or snow cats. You race over barren landscape through blizzards and whiteout conditions, enjoying sub-zero temperatures and gale-force winds or clear sunny days. On these expeditions you might cover up to 50 kilometers a day. Vast fields of snow await those who wish to ski Svalbard. This is a top world wilderness, some sixty thousand square kilometers of pure nature. Besides downhill skiing trips to peaks nearby Longyearbyen, several days ski expeditions into undisturbed snowy wilderness is the magic option. On backcountry touring skis and a sledge trailing behind you, traverse the mountains, glaciers, tundra and the sea ice. The Svalbard spring is the best time for such adventures. 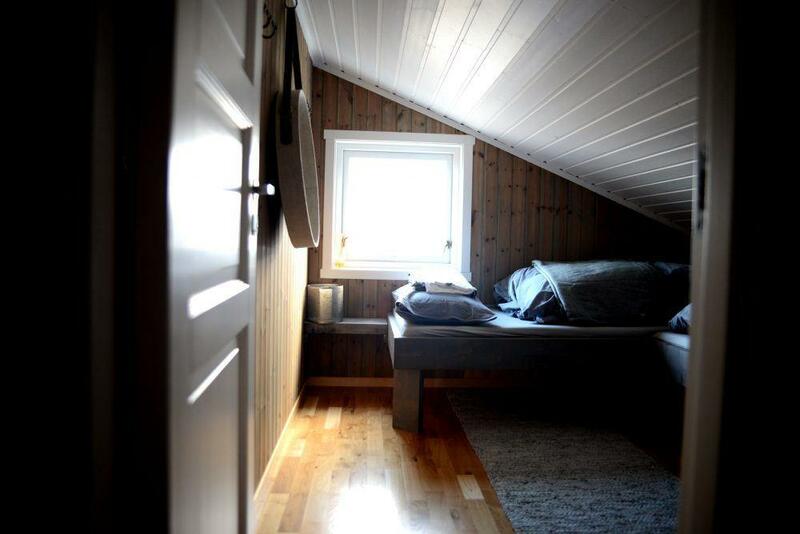 It is possible to enjoy this experience based in our expedition lodge by the Nordenskiöld glacier where you rest in soft beds after a hot sauna, or go rough and sleep in tents. 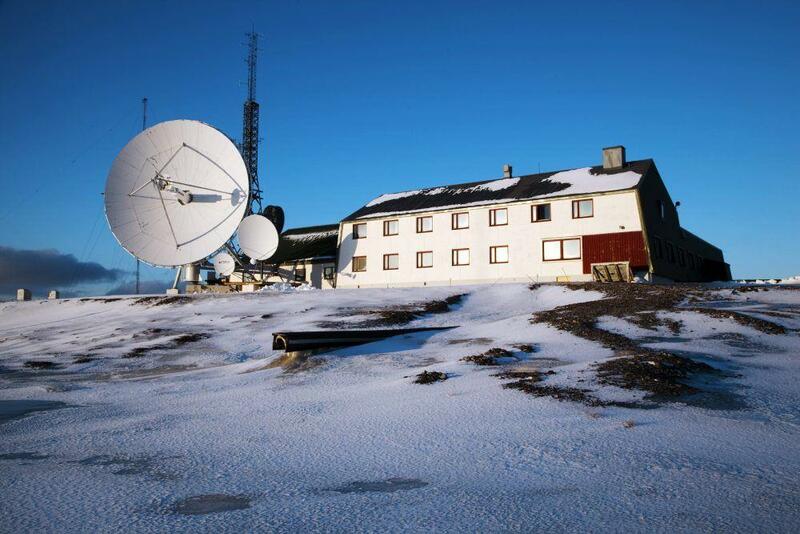 To top it off, why not include a stay of luxury at Isfjord Radio Adventure Hotel? May is perfect for the more extreme version of backcountry skiing. 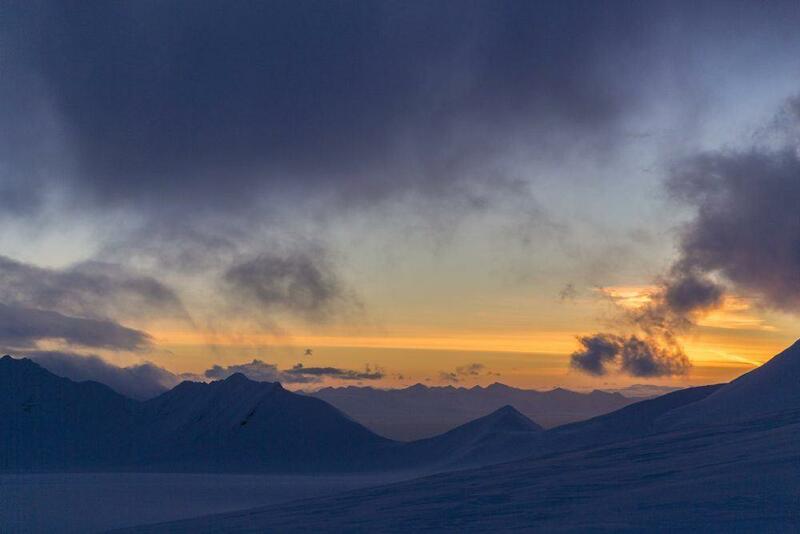 A string of mountains along the coast of Svalbard is our playground. Start skiing straight from the beach, touring peaks rising out of the sea. From one of our basecamps ashore or liveaboard sailing ship SV Linden you are guaranteed ultimate access to unspoiled skiing opportunities. 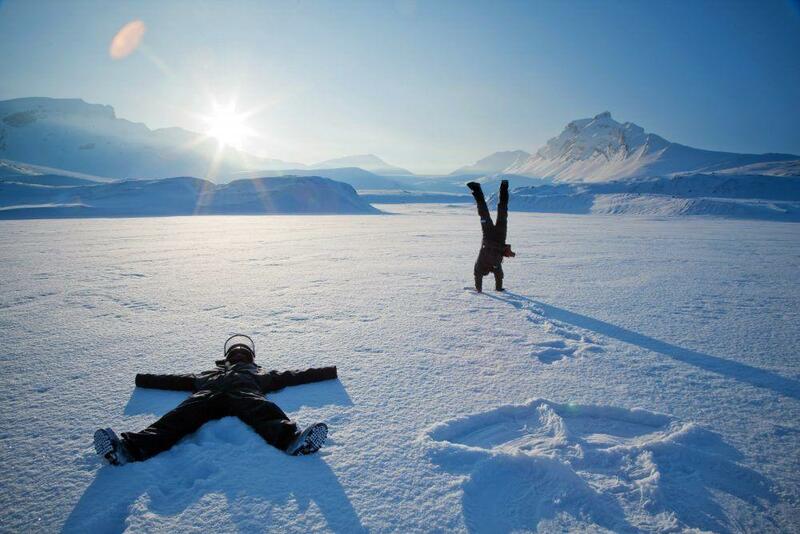 Off-piste skiing is an incredible way to enjoy the outdoors of Svalbard. 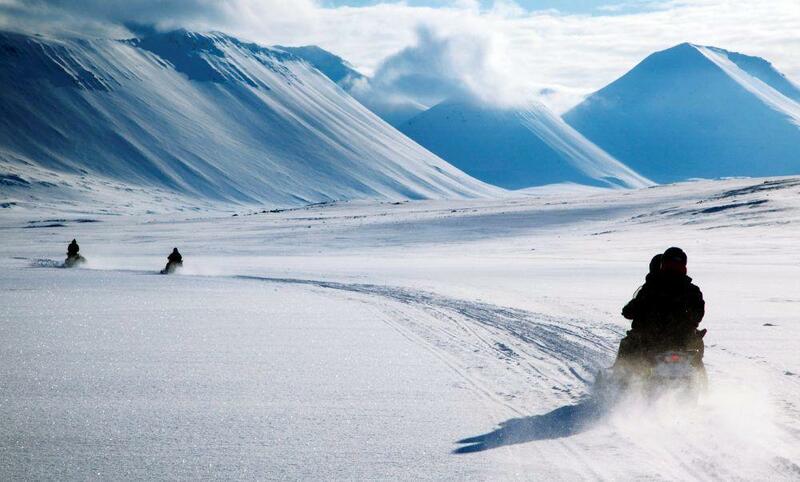 Snowmobiling in Svalbard gives you a great ability to cover huge distances in a magic winter wonderland. In only one hour on a snowmobile you are more than a day’s march ahead, making even the east and west coast as well as the Van Mijenfjord accessible. 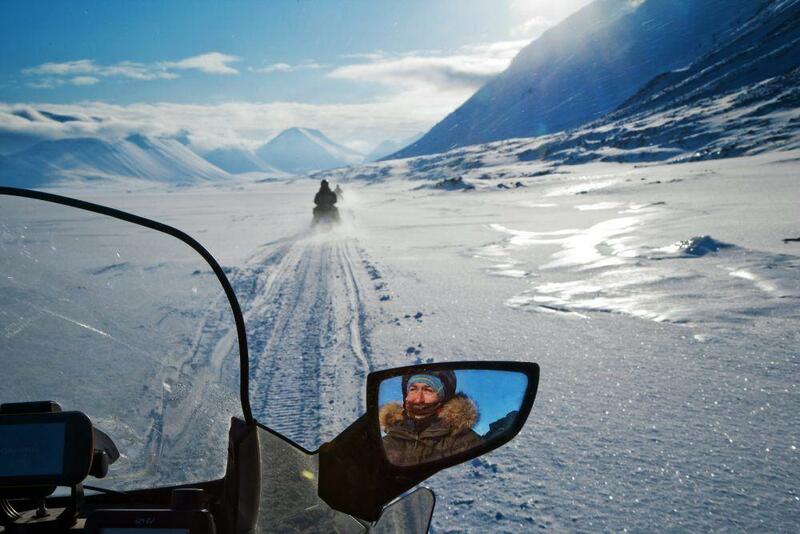 Visitors to Svalbard are allowed to snowmobile in the western and central Spitsbergen area. This is the realm of the polar bear in its unique icy wilderness – the drift and fast ice. Look out for seals resting and polar bears hunting. With snowmobiles you can travel from one outpost to another. There are good options to combine one or more of our basecamps with stays in remote and rustic mining towns. Svalbard is a great hiking destination. Here we walk off the trails. In fact there are no paths. Svalbard is a nature wilderness where the tracks you come across are more likely to be from the Arctic wildlife. You can walk through fjord landscape, dessert, lush tundra, across glaciers and mountains raising steep. The terrain is varied. If you just want a short walk, there are many good options in the mountains surrounding Longyearbyen or around Isfjord Radio Adventure Hotel. Or choose a longer trekking expedition to reach amazing destinations off the beaten track. On these backpacking overnight trips you can check in at small lodges, tent camps or even luxurious hotels. If you opt for sleeping in tents, be prepared for taking your turn on polar bear watch duties. 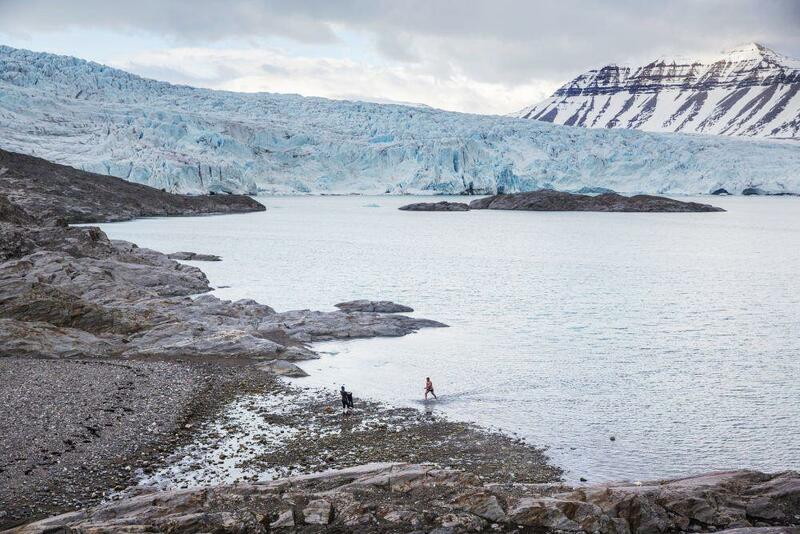 Considering more than half of Svalbard is covered by alpine glaciers this is the perfect place for glacier hiking. 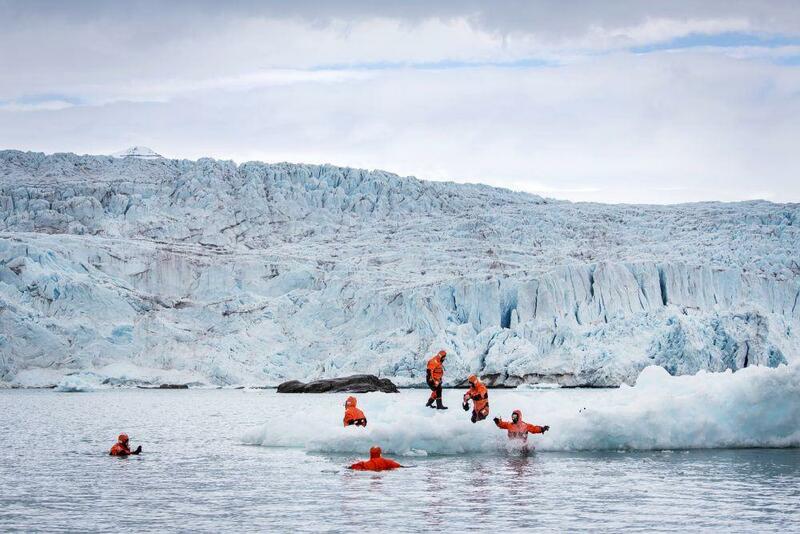 Svalbard offers glacier explorations of various length and difficulty. There are opportunities to tackle crevasses, moraines and ice caves, or stroll across blue ice in an ever changing glacier landscape. On many ice walks no previous experience or special skills are needed. For the more experienced, you have chances to test ice climbing skills on ice walls. 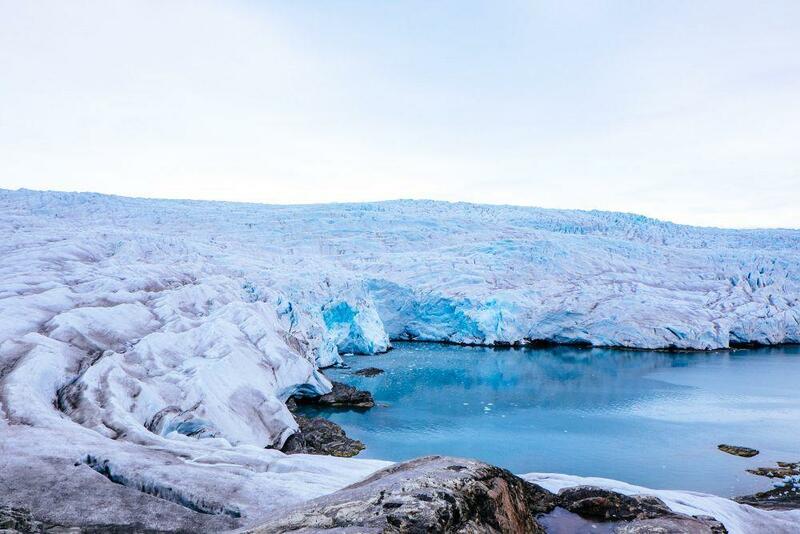 Nordenskiöld Glacier is among the best ice to explore in the Isfjord area. It is easy to access and has fascinating crevasses and a beautiful blue glacier front dropping right into the ocean. 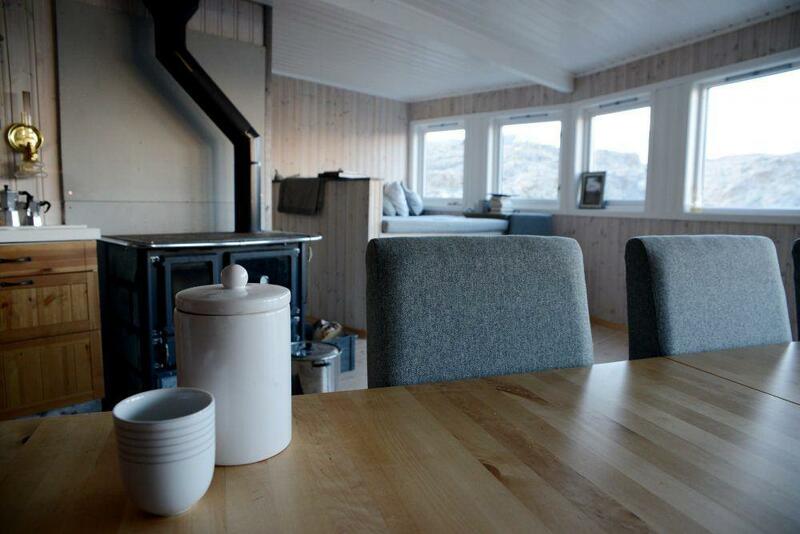 Nordenskiöld Lodge located right at the glacier front, is the perfect basecamp for glacier experiences. There are daily boat departures out of Longyearbyen. Small open boats run guests to wildlife destinations in the Isfjord area. These trips can be combined with a stay at one of the quirky lodges or luxurious hotels. 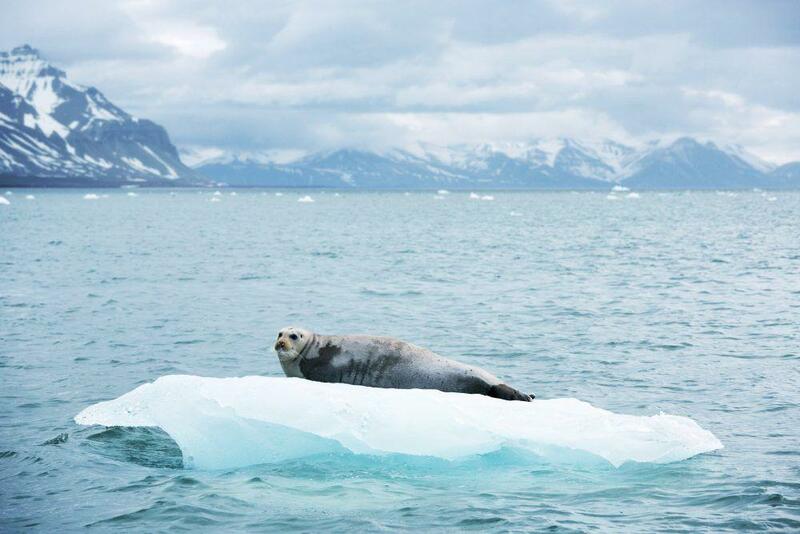 Your skipper jumps off the boat with you and become your guide and polar bear watch onshore. Svalbard is becoming a popular cruise expedition destination. 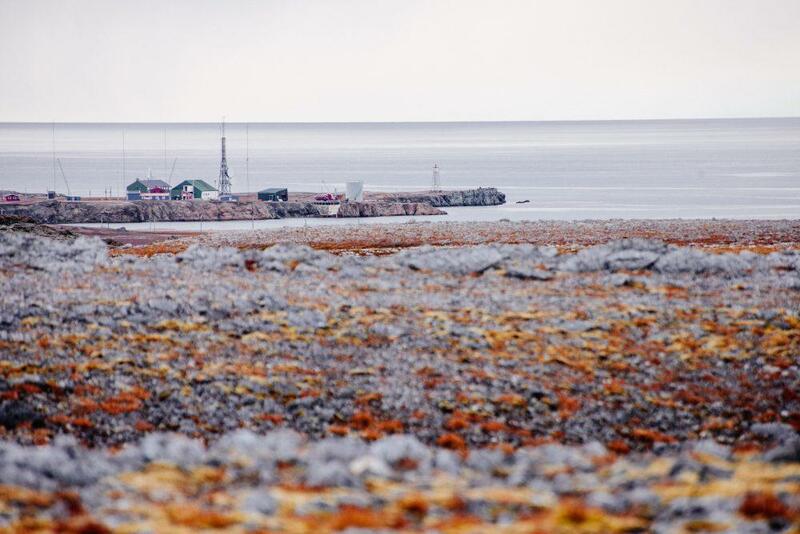 Every year more ships turn to this archipelago halfway between Norway and the North Pole. 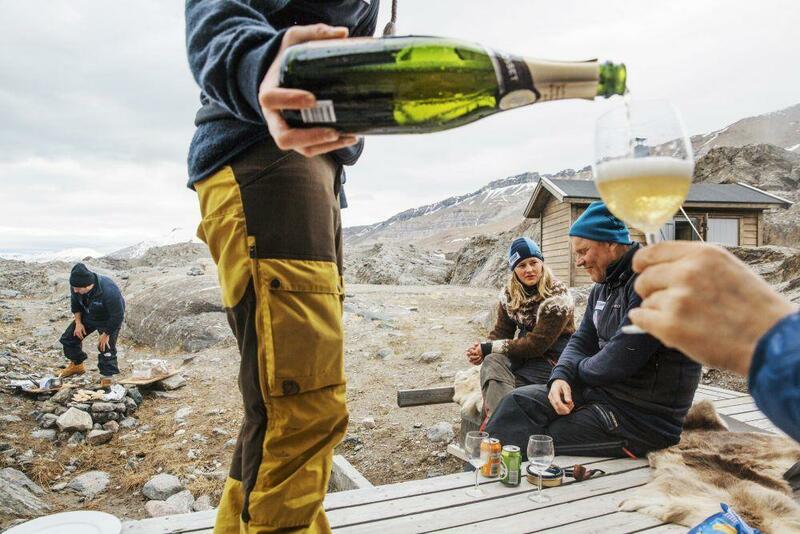 You step aboard, unpack and for the next days you don’t have to pack any more, but simply enjoy Svalbard. The exclusive sailing ship Linden will take you along to amazing and transforming experiences. Your options start from short week-end or a mid-week voyage, or you may even opt to hire this beauty for a long sailing adventure to your taste. 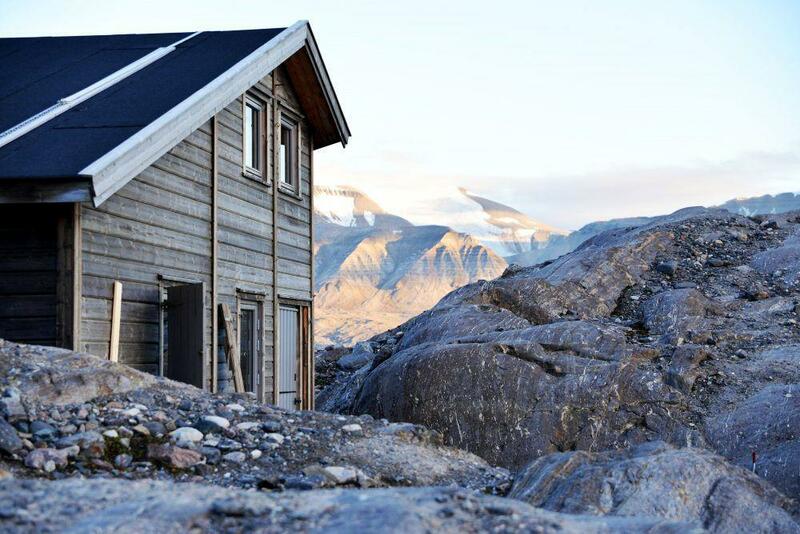 Every property we offer in Svalbard is unique, brimming with features and brought to life by a professional team, who will create the ultimate bespoke holiday experience. We have access to a well of memorable options for seclusive, quirky or luxurious accommodation. 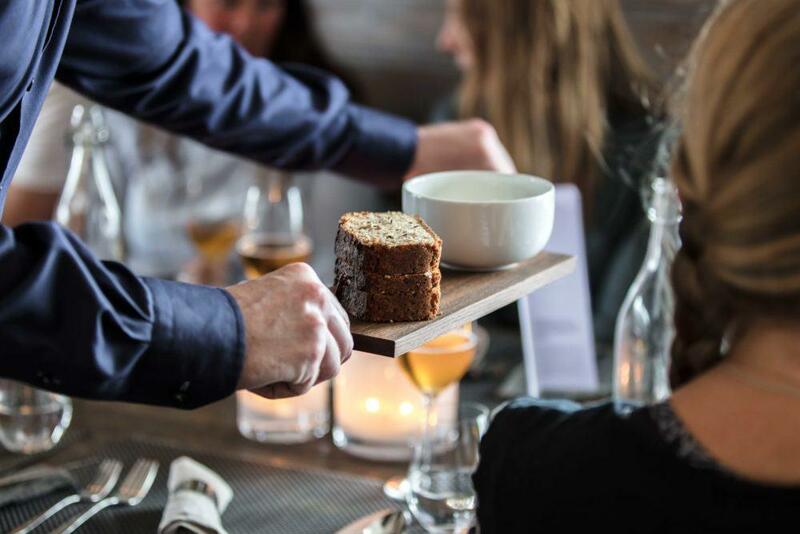 We hand-pick the locations for you to explore – weather it is good views, gourmet food, friendliness, cozy atmosphere, being popular with the locals or something else you are looking for. See all our locations here. Travelling off the beaten track by dog sledding or snowmobiles in a frozen Svalbard, it is quite extraordinary to arrive at a warm and comfortable tent camp. A three course dinner, table, chairs and beds tell tales of the many parties with supplies to make your North Pole Camp experience pleasant and exclusive. 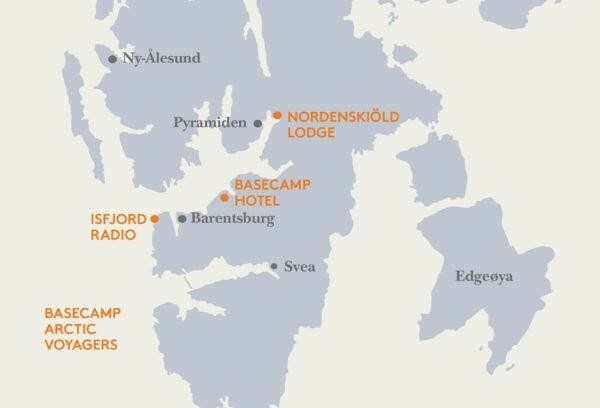 The camp is the perfect base for your explorations in the high Arctic. Each year different sites are selected, and the camp sat up from scratch. Food matters, and more so in the high Arctic where so many expedition parties have suffered from starvation, scurvy and malnutrition. 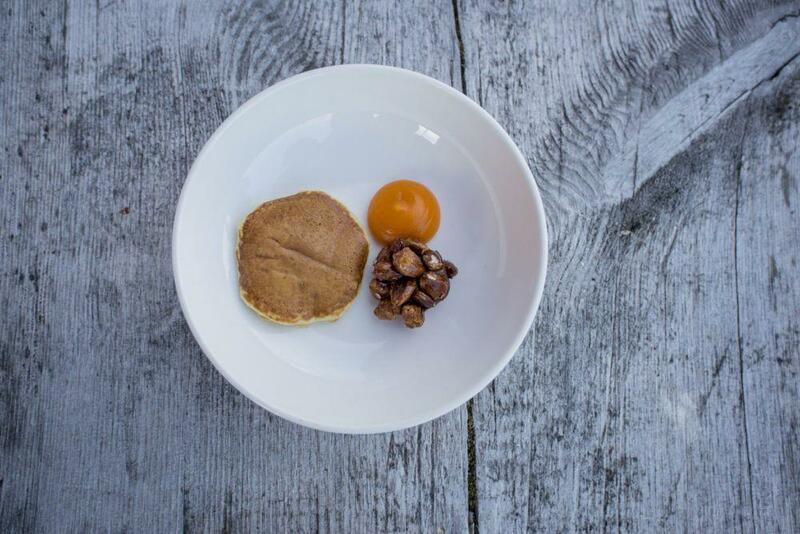 There are superb eateries, from basic and solid to extravagant 10 course dinners. The world’s northernmost town Longyearbyen features one of the largest wine cellars in Europe with more than 20 000 bottles. A local permaculture food production provides key fresh produce, and fresh quail eggs. 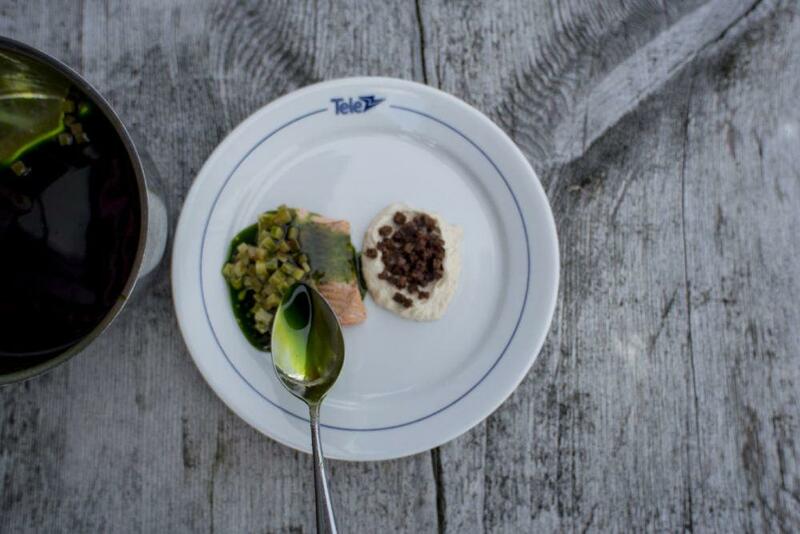 If you want something very special, travel by boat, snowmobile or dog sledding to the end of the world, to relish a full-course gourmet dinner at the outpost Isfjord Radio. 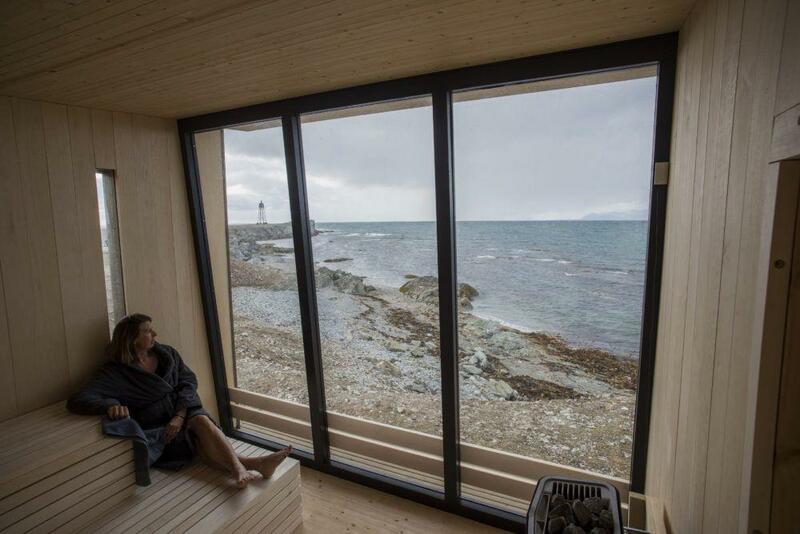 Indulge in luxury at the exclusive Isfjord Radio Adventure Hotel. In between wildlife sightings, get pampered at this historical site. 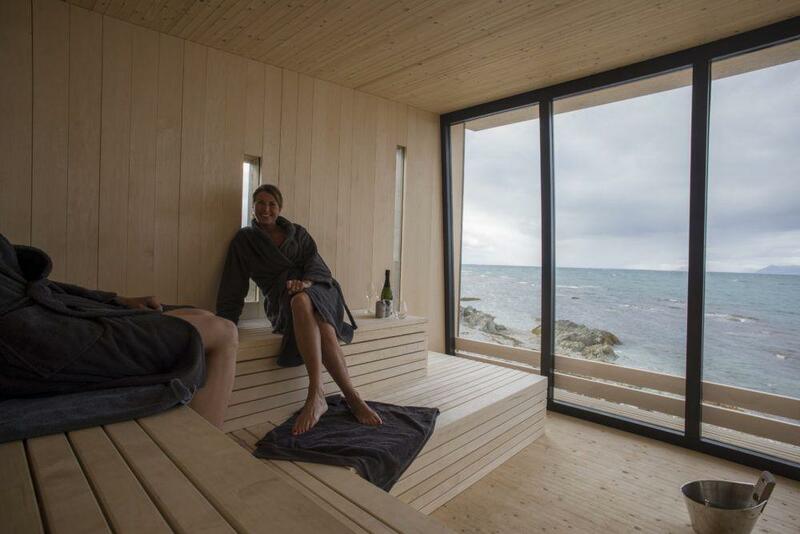 We recommend 10-20 minutes in the sauna with amazing arctic views. Let your mind wander. 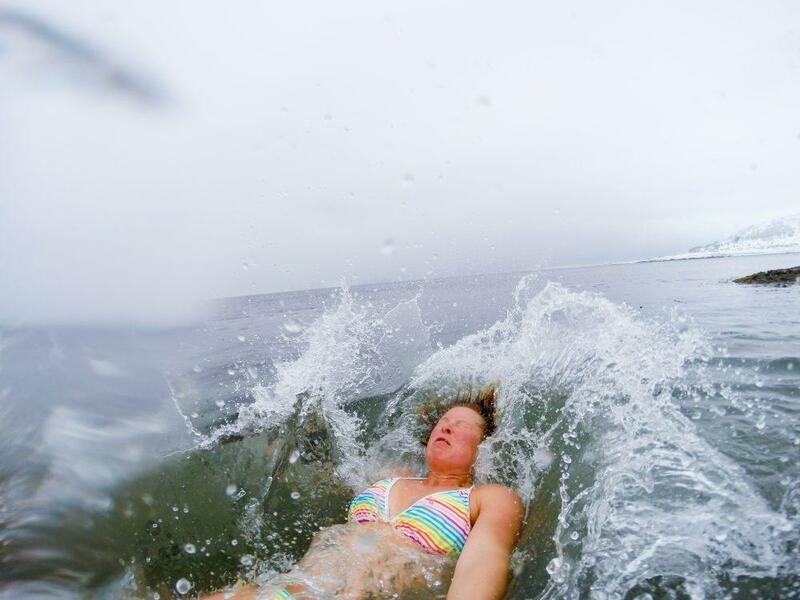 Follow this by a cold immersion into the Polar Ocean, immediately increasing the blood flow in your body. Repeat this hot-to-cold treatment up to three times, and if you so wish combine with a bottle of bubbles. Finally top it off with a soothing tea in front of the fireplace. As the evening approaches relax and enjoy the rejuvenating effect on the skin. We are a small Arctic adventure company, offering a personal approach to creating and arranging your travels into the Polar region. 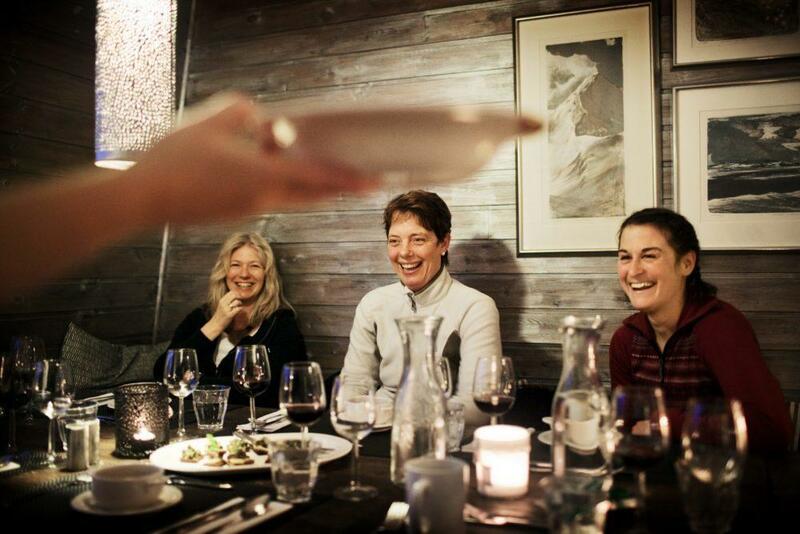 We have 20 years of experience in making travel itineraries and dreams come true in Svalbard. We love to create truly tailor-made travels. This is far from a fixed itinerary. We start from scratch and build your trip like you want it. You have the flexibility to start and end when and where you wish, and see what you want to see at your own preferred pace. Knowing and understanding the opportunities, challenges, and realities in Svalbard we let you know what you can expect to achieve. 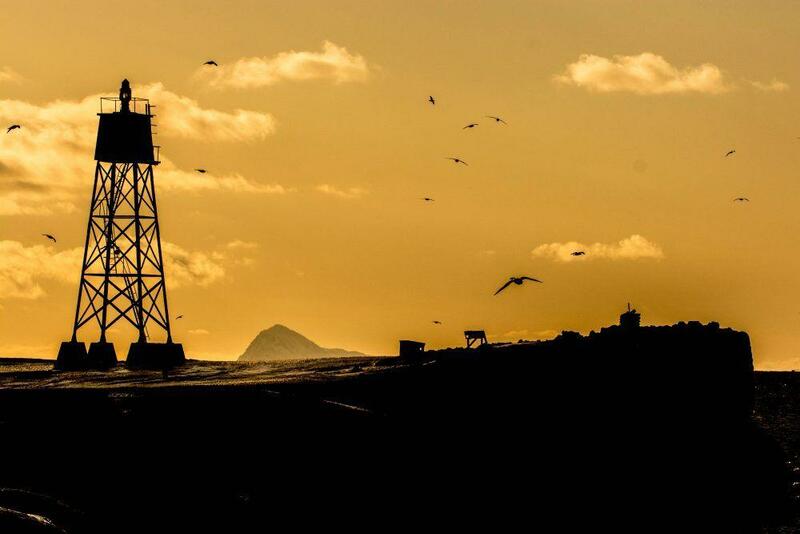 Our staff live and work here, offering you access to a vast reserve of first-hand experiences, destination knowledge, and local contacts. They also travel by foot, snowmobile, boat or dog sledding, just the way you can expect to travel when you get here. Once we know the dates you would like to travel, and what kind of experiences you are searching we will prepare and provide your first draft travel itinerary. We sketch out your experiences, activities, and meals as well as rest time day by day. You have time to digest the plan, discuss and make further changes if you wish before we send out your final unique itinerary. When you are happy with your travel program and ready to make a tentative booking, we send you the booking confirmation along with your program. The document contains all the information you need to travel with peace of mind such as contact details, daily points, and other useful information. Eight weeks before your trip we touch base with you, to inform you of potential additional details on your final custom-made program along with an invoice of the remaining balance. 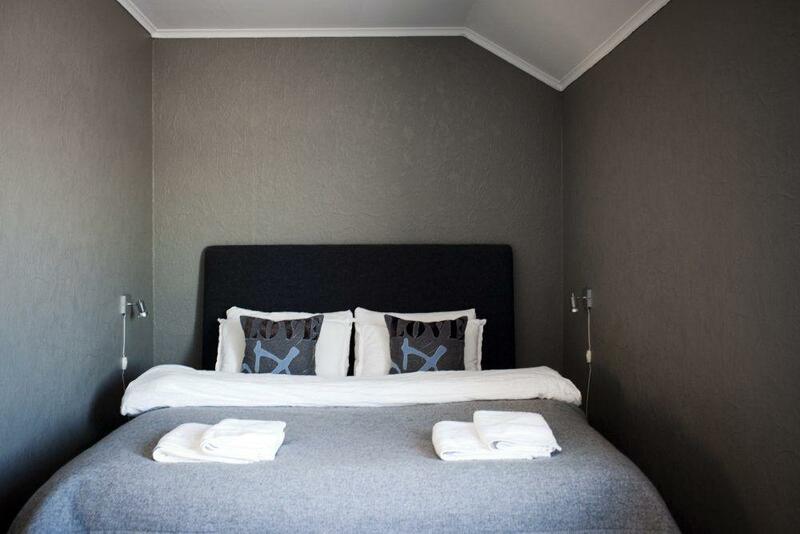 Before and after your arrival in Svalbard our ‘Arctic Travel Designers’ are available for any questions or concerns. We are always only a phone call away, or no more than 10 steps if you are staying at our Basecamp Hotel. Our experience is that custom building your trip takes anywhere from 1 week to several months. The earlier you contact us, the faster and easier it is to plan the trip. This way we avoid having issues with hotels and flights being booked out. 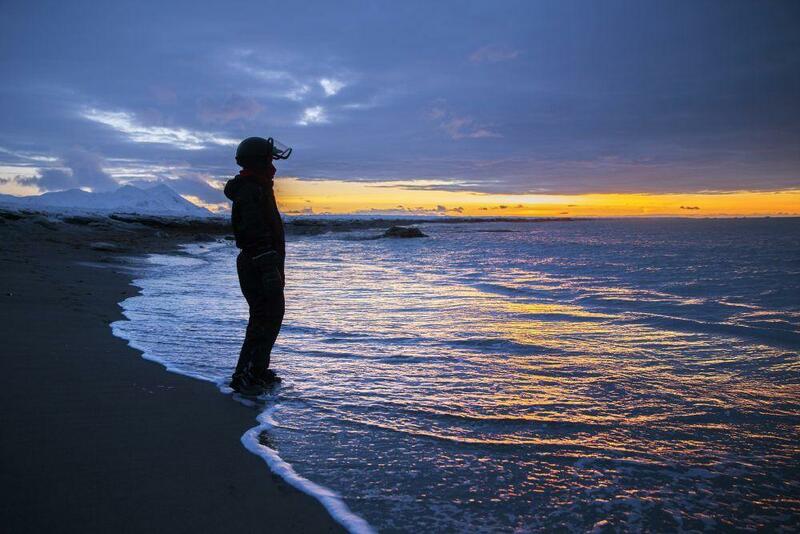 This is particularly important if you plan to travel to Svalbard during the high season. 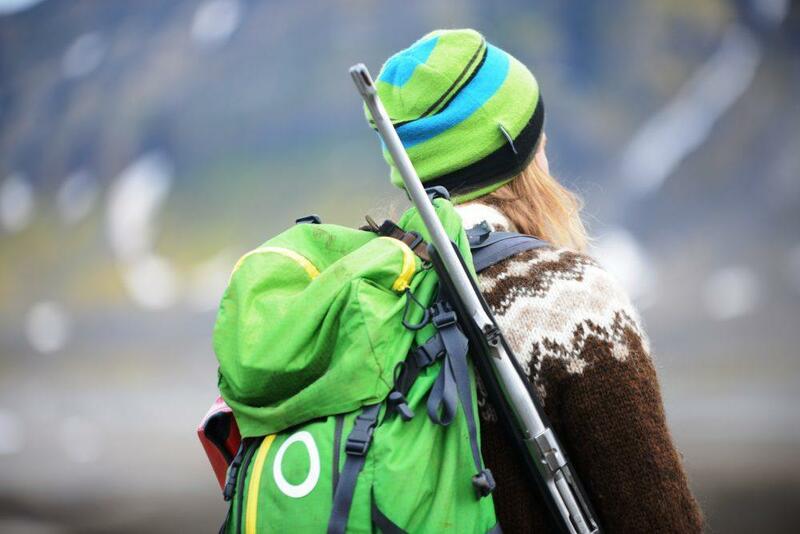 High season for land-based activities on Svalbard is March-May. During the summer, flights, restaurants and hotels are often booked out when cruise ships embark and disembark.